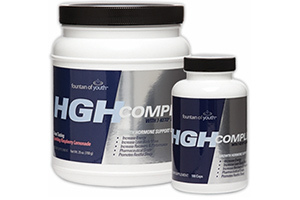 HGH supplements are supplements that aim to increase the amount of HGH available to the body. For those who are currently scratching their heads, HGH stands for ‘Human Growth Hormone’ which is a highly useful hormone produced in the pituitary gland that’s responsible for encouraging the body to build and repair tissue. When we are under 20 that means we grow in height, though this stops when our growth plates close. Throughout our life though this means that HGH can help to encourage healing after an injury and also help the repair of muscle tissue after exercise thus resulting in more muscle mass as well as fat burning. The question is then, do HGH supplements work, and is this a good way to increase the amount of growth hormone in the body? Here we will look at the answer. There are basically two kinds of HGH supplements. One kind involves simply injecting synthetic growth hormone which will instantly increase the amount available in the body. Of course this will ‘work’ in that it will cause the desired effects in the body, however this form of HGH supplement is also very potent and may cause a number of side effects and risks. At the same time it is also important to recognize that taking pure HGH is actually illegal in many countries and states, and you need to ensure you know the law in your particular area before engaging in its use. The other kind of HGH supplement is designed to ‘boost’ the amount of growth hormone produced by the pituitary gland, and this can be achieved in a number of ways depending on the supplement. One of the most popular kinds of HGH booster is ‘GABA’. This is a supplement which claims to be able to increase HGH by up to 600%, but it also has some side effects. GABA (gamma-aminobutyric acid) essentially is an inhibitory neurotransmitter which works by preventing the brain from using up the other chemicals floating around up there. This then means that you have more serotonin and more melatonin available in the brain which results in an improved mood and heavier sleep and so the production of more growth hormone. Do HGH Supplements Do What They Say? Taking pure HGH as we’ve already discussed will indeed result in more muscle mass and fat burning, but can HGH boosters accomplish the same? Well this is a subject open to some debate. While GABA works in the brain for instance, it is unknown whether or not taking more GABA in pill form is able to produce the same effects. In fact there is one school of thought that suggests that GABA in this form will be unable to cross the blood-brain barrier at all which would mean it was completely ineffective in increasing growth hormone. Of course other HGH supplements work in different ways, however none of these have been completely proven to work to a noticeable degree and here it’s best to simply think: if there was a HGH supplement that really worked as well as it said it did… then everyone would be taking it. Some HGH boosters are homeopathic in nature for instance, and these have definitively failed to demonstrate any measurable ability to do what they claim and use completely unscientific methods to accomplish the goals they aim for. So the only real way to enhance HGH is to take pure HGH which is illegal in most instances. At the same time though it’s also important to recognize that there are some side effects to consider here. For instance it’s worth noting that certain facial features such as the nose and the jaw never stop growing. As such, if you take large amounts of HGH this can result in those facial features continuing to grow – an in extreme cases this can result in severe disfigurement. Acromegaly is a condition in which the body naturally produces too much HGH – and searching for it in Google Images will quickly demonstrate why too much HGH might not be entirely a good thing. Furthermore taking HGH can cause the heart to grow in size too – it is after all a muscle. While there are no long-term studies yet to demonstrate any risk, it is logical to suppose this could have negative consequences for the heart when used over a long period. Meanwhile, substances like GABA which are not proven to work, could still have negative side effects even if they did do what they were supposed to. As a serotonin re-uptake inhibitor (SRI), GABA could actually be used to treat depression and anxiety. However this might result in unwanted mood changes for individuals who have no problems with depression, and it could in theory result in the brain compensating by producing less serotonin of its own – ultimately resulting in dependency and withdrawal. In short then, boosting HGH is not something you should do unless you are diagnosed with a medical condition and it is suggested by the doctor. To encourage the body to heal and repair you should simply ensure to supply your body with the right number of amino acids, and you should be sure to spend lots of time asleep which is when our systems carries out the necessary repairs. Thank you, after searching and searching for something that was reasonably true and not product/money motivated here you are. It makes good sense and you explained it beautifully, thanks.